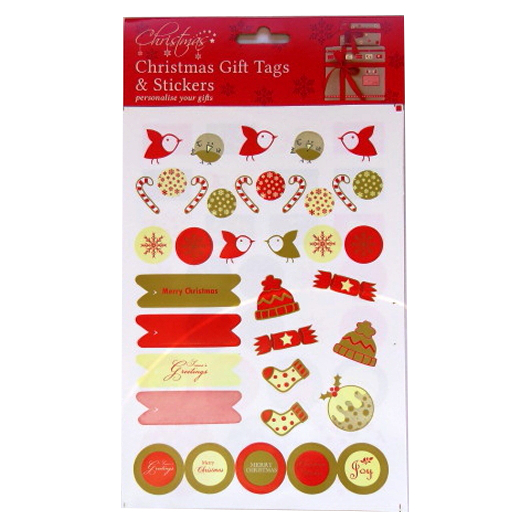 Beautifully made Christmas gift tag and sticker pack, personalise your own gifts. Contents include 24 different design tags supplied on 2 sheets, cut out and ready to use, each tag measures 62mm x 32mmm. 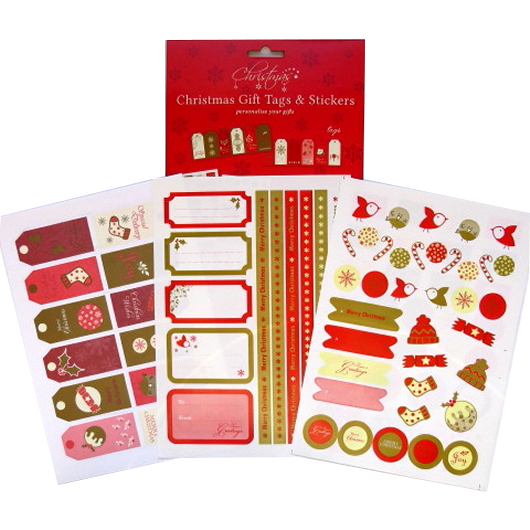 2 sheets of colourful christmas stickers, different sizes and shapes, ready to peel and apply. 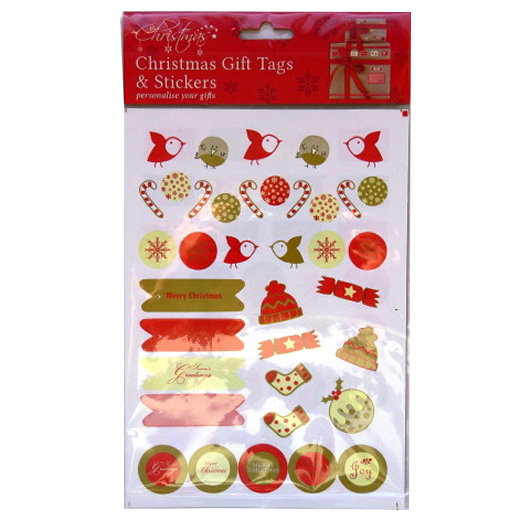 1 sheet of gift label stickers and Merry Christmas banner stickers.